I was out on a Sunday afternoon and came across this amazing community garden on 90th Street between Columbus & Amsterdam. 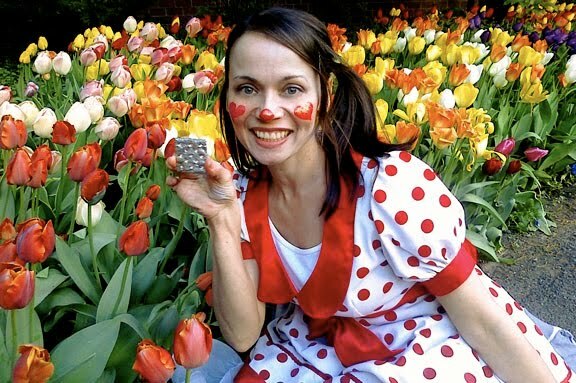 I met a clown who was taking self-portraits with the tulips so, as every New Yorker has done from time to time, I offered to take the picture for her. When I walk through Times Square I almost always find a tourist group who would have had one person missing in the photo if I hadn't volunteered.